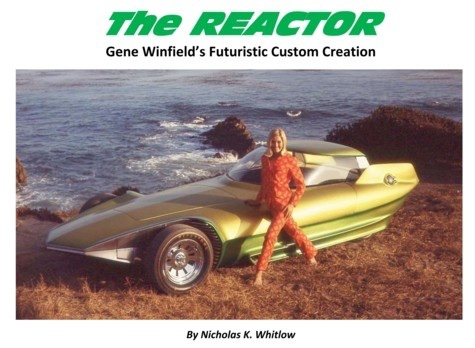 Meet the Legendary Car Creator Gene Winfield; at the 2018 Medford Rod and Custom Show! 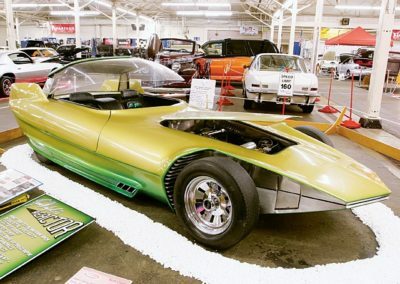 Gene Winfield is the last of the original California Customizers; in his ninth decade of laboring in lead and steel, creating automotive art that inspires love for Americana in car enthusiasts around the world. 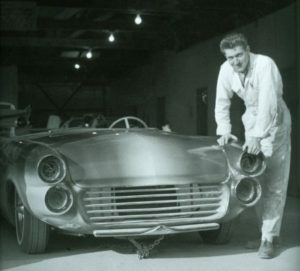 In high school, in Modesto, he built his first roadster. 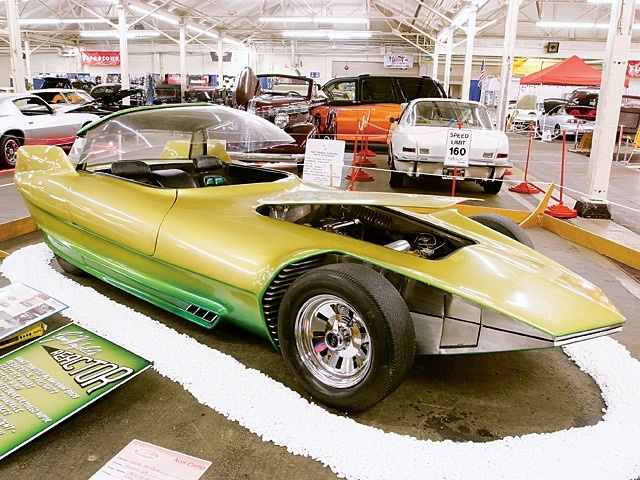 Stationed by the Army in Japan, he built and raced a ’41 Ford, learning from a patient Japanese bodyman to make the most of simple tools and limited materials. Back home, he founded Windys Custom Shop in his mom’s chicken coop. 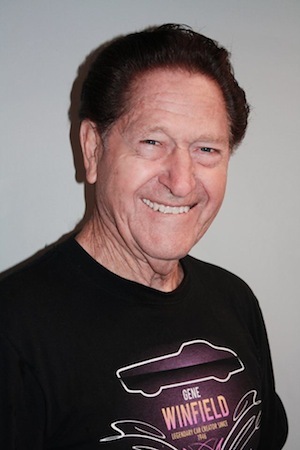 As president of the central valley’s racing association, he organized car shows as well as staging street races, airstrip drags, and timing runs on the dry lakes of the Mojave. 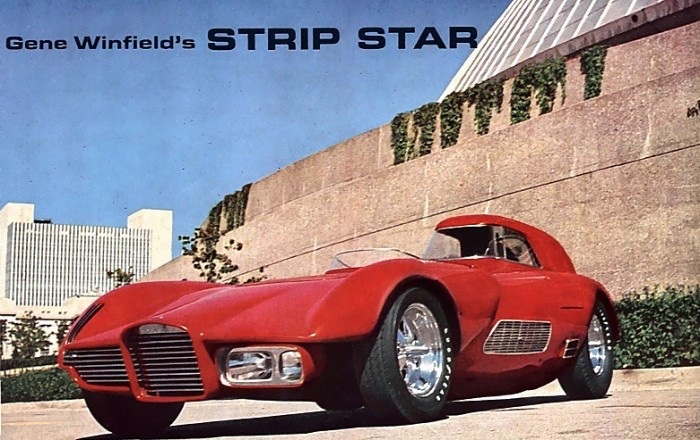 He authored or was the subject of, many articles in those small-format hot rod and custom car magazines of the ‘50’s. 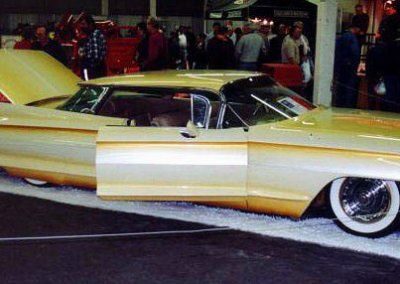 His craftsmanship won him innumerable prestigious awards at national car shows, especially for his trademark Winfield Fade; the smooth transition between colors who aren’t neighbors on the spectrum. 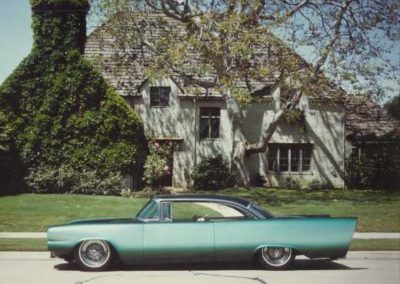 His radically customized ‘56 Mercury, Jade Idol (which a collector has recently returned to him for restoration) spoke to America’s tailfin fantasies. 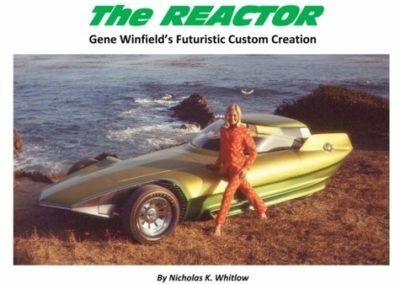 He expressed astral, futuristic themes in many of his famous cars which followed, such as his Solar Scene, Strip Star, and Reactor; the latter two carrying bodies of hand-formed aluminum and early electronic gadgetry; the Reactor being the only car ever featured in Star Trek as contemporary to its 23rd-century era. 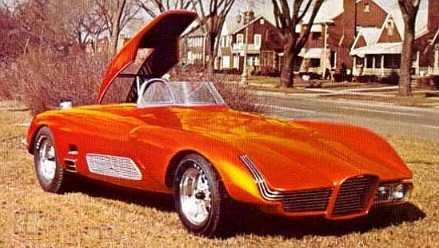 Further with that show, in one of his few non-automotive jobs, he constructed the Galileo space shuttlecraft set piece. 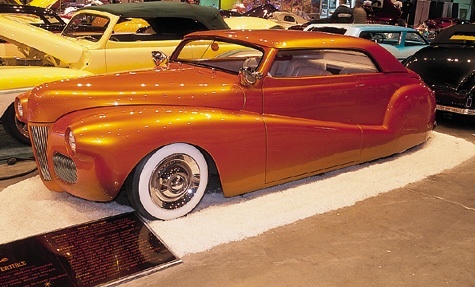 Ford had him represent them in its Custom Car Caravan. 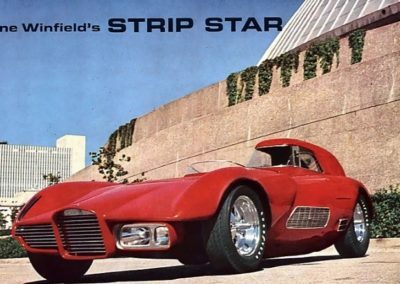 He contributed to the fantasies of generations of young American men by his model car design work for AMT. 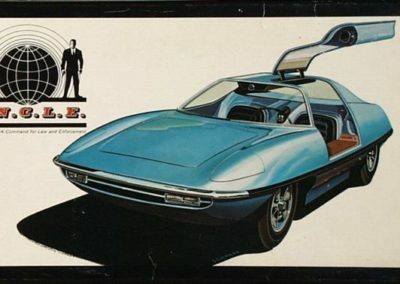 Notable among these was the Piranha, the first all-plastic car which, as he adapted it with spy gadgetry, served as The Man from U.N.C.L.E. 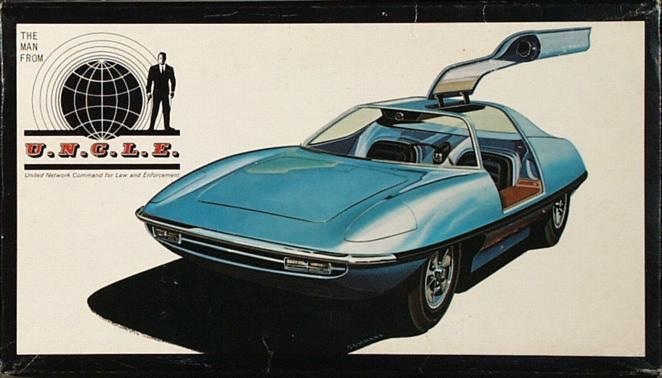 agent’s car. 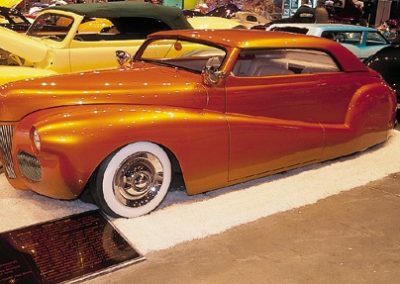 During the 1980’s revival of custom car culture, he developed his line of production parts to perpetuate the popular ‘49-51 Ford and Mercury styles, including complete fiberglass bodies, pre-Frenched, chopped, channeled, and sectioned.Three books have been written about him and his work. 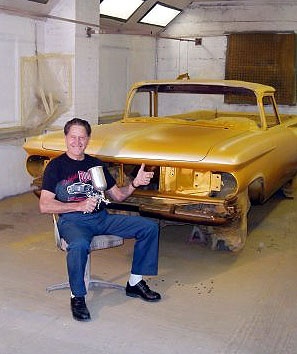 With giving classes and working on customer’s cars he’s still the hardest-working man in the custom car business. If he’s got fifteen minutes before he has to leave for the airport, he’ll go to the shop and paint. Utterly devoted to his fans, he travels the globe to meet them, and they do likewise. 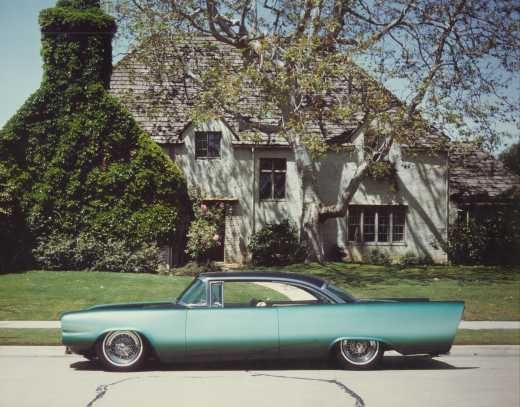 He spends much of every day entertaining them at his desert garage and museum. 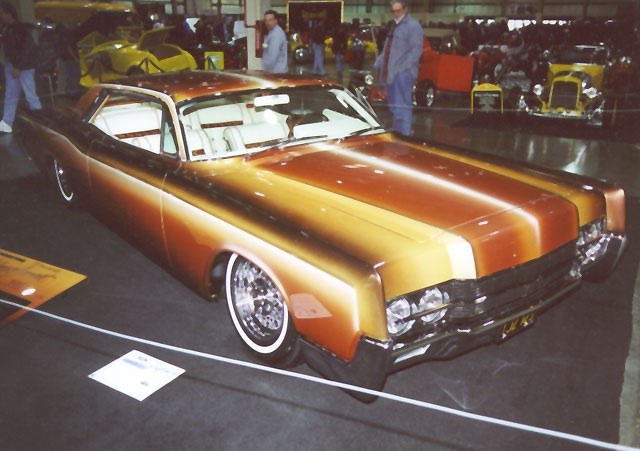 Don’t miss the opportunity to meet Gene in person at the 2018 Medford Rod and Custom Show!